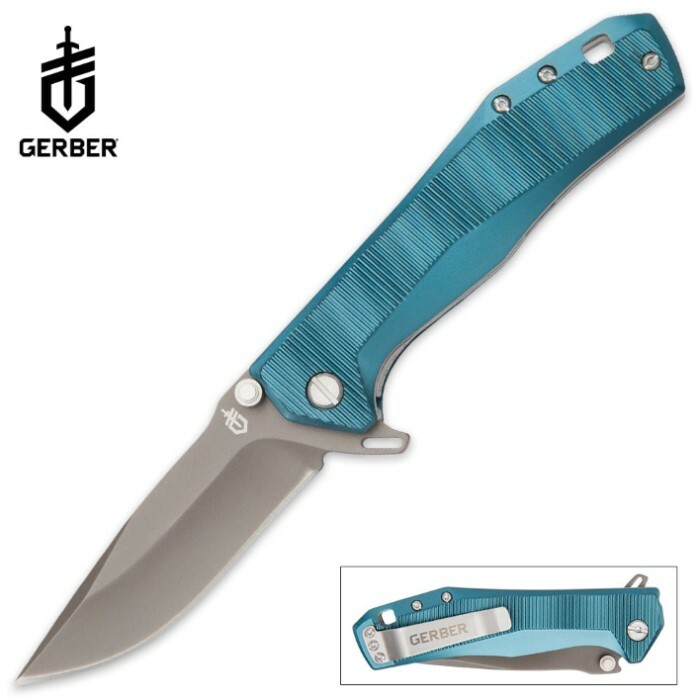 Gerber Index Pocket Knife - Blue | BUDK.com - Knives & Swords At The Lowest Prices! The Gerber Index Pocket Knife is a great all-around flipper knife to carry for everyday tasks! It has a great look and comfortable feel with its textured, anodized aluminum handle scales and finger flipper for fast blade deployment. The 3 3/10” 5Cr15MoV stainless steel, drop point blade has a satin finish. The pocket knife also features dual thumb studs for additional blade opening options and a liner lock for easy one-hand closing. 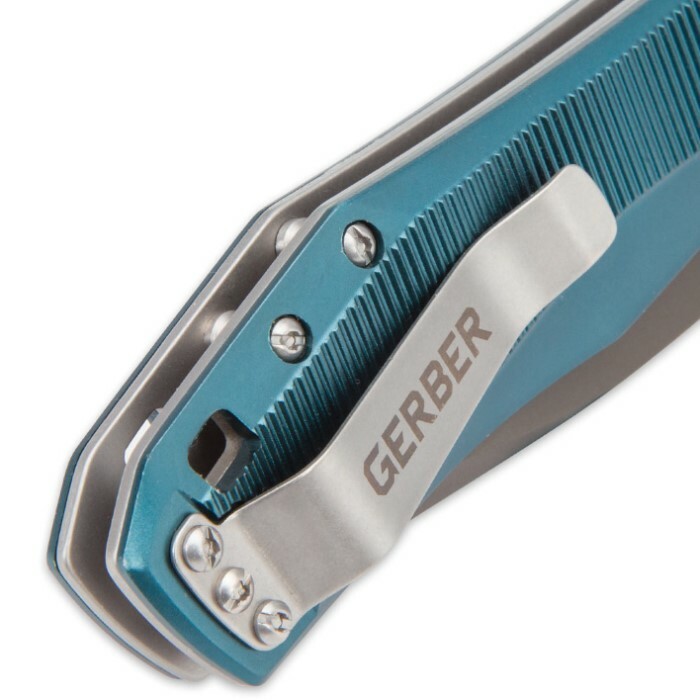 A pocket clip and lanyard hole make the Gerber Index ideal for the rugged, everyday use that it was intended for.